Those of you who visit the Custom Protect Ear (CPE) website often will have noticed a change recently (if you are one the site regularly you either work for us or need to get out more). For the first time in our 36-year history, CPE is distributing a product we don’t make. We have decided to distribute the Sensear product line in conjunction with our dB Blocker hearing protectors. Why? Because we are committed to being proficient in all forms of hearing protection for all circumstances. Adding the Sensear product line completes our range (and completes Sensear’s product line as well). Hearing Protection to complete the CPE Product Range. How? If you wear hearing aids you need to preserve what is left of your hearing (I certainly would). How do you do that? You need your hearing aid(s) to fill in the missing frequencies so you know what is happening around you. But you still need to reduce the overall volume to a safe level. That an easy job for a muff style hearing protector. BUT with most muff style hearing protectors you lose the ability to “hear” from where sounds are coming. This loss of “situational awareness” can be deadly in a online casino noisy plant. Using the Sensear Smart Muff we can now provide the hearing protection you need with enhanced situational awareness. Finally, we have the right solution for persons who have already lost some hearing. Ever been in a smelter? The air can be toxic, the noise is deafening, but people have to work there. To keep safe they wear protective suits with helmets and shrouds. To breathe they wear respirators connected to breathable air. And to communicate they…exactly, how do you communicate with a shroud over your head and a respirator on your mouth? You use the Sensear SP unit with a dB Blocker earpiece. 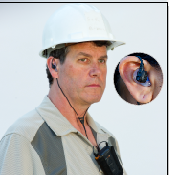 The earpiece and SP unit capture speech in the ear and broadcast it on whichever radio you are using. 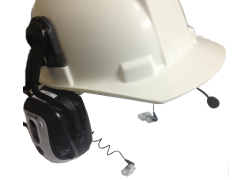 Using Sensear’s SP with a dB Blocker earpiece you can now have perfect hearing effective radio communication in up to 110 dBA of noise. Person to person communication? How about hand signals. Mining is a noisy business. Some parts of mining are noisier than others. When you have miners working in various parts of the mine, it often difficult to ensure they always have the right amount of protection from the noise – not too much and certainly not too little. Using dB Blockers, we provide miners with great personal protection that will allow them to hear the “roof” and warning sounds. When they have to move to louder areas, we fit a Sensear Smart Muff right over their blockers and they can hear their radios and speak to others in up to 120 dB (using the SDP muff). These are just a few of the applications CPE can now address more capably by distributing Sensear. Sensear also now has access to custom made earpieces for their units which affords the wearer enhanced comfort and attenuation. It’s a marriage made in hearing. Learn more about Smart Muffs. – Although hearing protection is often recommended, there are still shooters that do not use it. – Many may have a hearing loss already. – For those with a sensorineural hearing loss, and for those new to the shooting sports without a hearing loss, it is important to protect all residual hearing. To understand some of the problems associated with shooting sports, it is necessary to be familiar with some definitions. The loudness of sound is referred to as intensity. The frequency (or pitch) of sound refers to how rapidly the sound vibrates. Intensity is more accurately measured as sound pressure level (SPL), and expressed in decibels. A 10 dB increase in sound pressure level will result in doubling of the loudness level!! For example, a firearm producing a sound pressure level of 150 dBSPL is twice as loud as a rifle producing 140 dBSPL of intensity. It should be noted that the shorter the barrel, the louder the sound. Also it is apparent that often the larger caliber does not necessarily correlate with the loudness of the firearm. Muzzle brakes or recoil suppressors can also significantly increase the sound intensity. 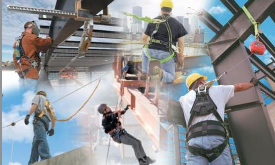 There are other factors, which result in greater noise injury. They include lack of or inadequate ear protection, and repetitive shooting or increased exposure of shooting time. Most people who perform shooting sports will have one ear, which has a greater hearing impairment than the other side. This is due to one ear being closer to the end of the gun barrel of a rifle or a shotgun. However, if one does pistol shooting, the hearing loss may be the same in both ears. Shorter barrel lengths will also result in a greater noise injury. The use of alcohol while shooting may result in additional noise trauma. In the middle ear, a small muscle is present that is attached to one of the bones (e.g. stapes), which moves the fluid in the inner ear. Alcohol suppresses the protective muscle reflex, which normally prevents this bone from vibrating too forcibly into the inner ear. Many people who have had exposure to shooting sports felt that being in the open field was less likely to cause noise trauma than being in an enclosed space. Also many have thought shooting only once or twice a year was not likely to cause a hearing loss. However this is quite the opposite. In reviewing cases of acute acoustical trauma from gunfire, over 40% had noticeable acoustical trauma caused by a single shot. Ninety-two percent of trauma from gunfire, over 40% had noticeable acoustical trauma caused by a single shot. Ninety-two percent of all of these traumatic incidents occurred within 6 feet of the firearm. Most (83%) wore no ear protection when the traumatic episode occurred. Often when exposed to impact sounds, such as a firearm, or to loud speakers in a music concert, a patient will have symptoms of fullness in the ears with decreased hearing. It often feels as though the ears are “stopped up”. This is due to a temporary threshold shift. The temporary threshold shift will return to normal within a few days. 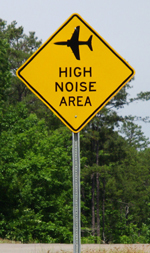 Temporary threshold shifts can be indicators of noise exposures that lead to permanent hearing loss. The cause of this temporary hearing loss is due partly to structural changes of the hair cells (e.g. buckling of the supporting cells and uncoupling of the sterocilia from the tectorial membrane). There are also other structural changes that can effect the metabolic activity of the cells within the cochlea. – What are the permanent changes to the ear itself? – Loss of inner and outer hair cells within the inner ear. – Injury to the intricate nature of the inner ear such as swelling and increased lysosomes in all cellular organelles. (The lysosomes are the cells’ garbage disposal system and degrade worn out organelles such as mitochondria). 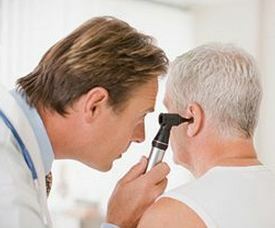 Reduction in the number of inner ear capillaries have also been seen. – Degeneration of the ganglion cells (cells that send sound signals to the brain) in the inner ear (cochlea). – Eardrum (tympanic membrane) perforation can occur with explosive injuries. 95% of these traumatic perforations heal spontaneously. Generally, a noise induced hearing loss is associated with a high-frequency hearing impairment. Classically it occurs at 4KHz. With time, not only can the high frequencies be affected, but the middle and low frequencies may be involved as well. In speech, high frequency sounds are “th”, “sh”, “s”, “t”, “p”, “k”, etc. You may hear the word “kind” as “time”. Therefore, as the hearing loss continues to diminish, speech intelligibility also decreases. A comprehensive hearing evaluation will map out hearing ability on an audiogram. Additionally, sophisticated testing such as otoacoustic emissions (link) have demonstrated a decrease in hair cells function with exposure to noise over time. Using hearing protection in the form of earmuffs and/or earplugs is crucial for hearing preservation. The factors that affect ear protection include the shape or style of the earmuff, the noise reduction rating of the ear protection used, the type of earplugs, and thermal effects when using foam inserts. Earmuffs fit around the head and over the ear to provide a tight acoustic seal. The shape and size of the earmuff may often affect the effectiveness of the sound reduction. Often large rectangular muffs may interfere with the stock section as it is firmly placed near the shooters cheek. The stock of the firearm can lift the earmuff slightly from the cheek surface, exposing the ear canal to sound, thereby lessening the sound protection ability. Some earmuffs are designed to eliminate the point of contact of the muff with the cheek plate on the stock. Rounded muffs and tapered muffs allow the stock to fit firmly against the cheek and yet not come into contact with the earmuff. There are also muffs that will fit around the neck and allow people to use a wide brimmed hat. Earplugs are placed into the ear canal to form a seal and block sound. 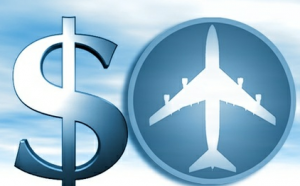 There are different types of earplugs including custom made products, foam or silastic ear plugs. Frequently, those that are custom made may have to be remade after 2 years, as the material shrinks and/or deteriorates. The ear canal over time may change in size, therefore resulting in a poor fit and less protection. Foam inserts can be excellent and are often quite comfortable and cheaper than earmuffs or custom made ear inserts. Foam earplugs are lighter and more easily packed in such activities as mountain hunting, and when shooters are wearing wide brimmed hats. There are some thermal effects using earplugs, which can be a disadvantage. Specifically in cold weather, the foam does not seem to be as occlusive as it is in warmer weather and therefore greater noise reduction can be achieved with a muff in very cold weather when compared to the foam ear insert. 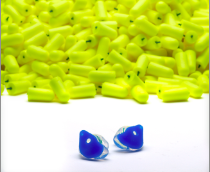 Lastly, there are silastic earplugs, which have flanges on them and are in different sizes. Options for hearing protection also include electronic earplugs or electronic earmuffs. These specifically are designed to allow the person shooting to hear environmental sounds or communicate more easily with family or friends while wearing ear protection. When a firearm is discharged, a special filter closes, within the device, to eliminate noise over 85 decibels, thus protecting the hearing. However these devices are generally not as effective in noise reduction. As the sound (traveling about 761 mph, or 1100 feet/second) hits the electronic device, there is a 0.5 to 1 millisecond period of time before the internal circuitry can be completely activated to suppress the sound. According to OSHA guidelines, these very minute bursts are not prolonged enough to cause significant damage. It is the opinion of Dr. Krueger that they have a place when there is a need to instruct or communicate with others while hunting, or when there is a need to listen to surrounding environmental sounds. They are not recommended for use at a shooting range. 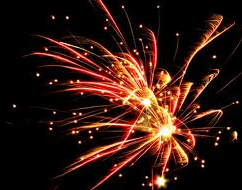 It is recommended that you always use ear protection with appropriate noise reduction rating (NRR) of at least 29 dB. The evidence is clear that double protection (i.e. 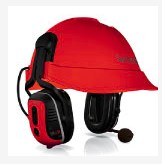 earmuff and insert earplug) is better; therefore double protection should be used if possible. For those individuals who are doing dangerous game hunting, it is suggested that an electronic device be used to protect the hearing and for listening in hazardous surroundings. For others who want the best of both worlds, use an insert in the ear canal and wear an electronic earmuff over For others who want the best of both worlds, use an insert in the ear canal and wear an electronic earmuff over the ear. Therefore when impact sound is heard, such as a gunshot, the minute sound that is not suppressed by the electronic device will be suppressed by the insert in the canal. When a sensorineural hearing loss does exist, there are options. Some include speech strategy techniques and preferential seating. Specifically, those people who have a hearing impairment should sit more closely to the individual speaking to them. Every attempt should be made to control the level of background sound. If dining in a restaurant, they should also position themselves facing their guest and the wall. Try to sit in a high-backed booth away from the kitchen and entrance and in an area of good lighting. Amplification via hearing aids and/or assistive listening devices also provide options for many people with a hearing impairment. With the advancements in hearing aid technology, benefits can be perceived in a variety of listening situations, including background noise.